The luncheon, in partnership with A-Plant and The University of Salford Business School, will bring together companies and business-people from across the North-West to enjoy a 3 course meal in one of MediaCityUK’s premium restaurants. 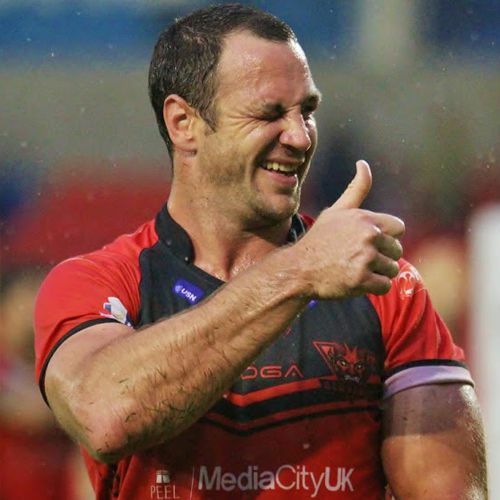 Former Great Britain Captain and Salford player Adrian Morley will be attending the event as a special guest, and will be delivering a talk on life in business after sport. Morley enjoyed a hugely successful career as a Rugby League player, representing England and Great Britain, as well as playing for his home town club Salford, and spending time playing in the NRL. Since retirement he is now working as a club ambassador, driving commercial and community engagement. 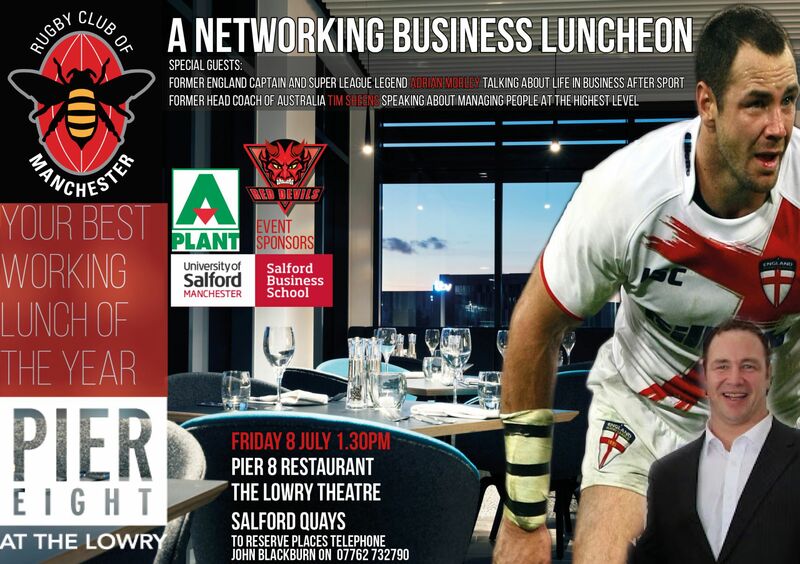 Alongside Adrian Moreley, the luncheon will also feature a talk from Salford Red Devils Director of Rugby, and former World Cup winning Coach Tim Sheens, who will focus on the theme of managing people at a the highest level. Sheens joined the Red Devils in 2015 following a hugely successful spell as Head Coach of the Australian National Side, which saw them crowned World Champions and Four Nations Champions. Places at the luncheon are priced at £35 per head or £30 per head for a table of 5. Places can be reserved by telephone, 07762732790.